I love your train shots! Cool post, Reena! I'd love to step aboard! I enjoy to look at your beautiful pictures. Lovely warm colors ! So nice ! Great shots, Reena. Old train depots and the trains themselves have always interested me. My old hometown of Algona, Iowa now has a winery in town called the Train Wreck Winery. They re-did an old depot/station and turned it into a winery. Pretty awesome, and they have entertainment there sometimes too. They are on facebook. me too....where should we go ? 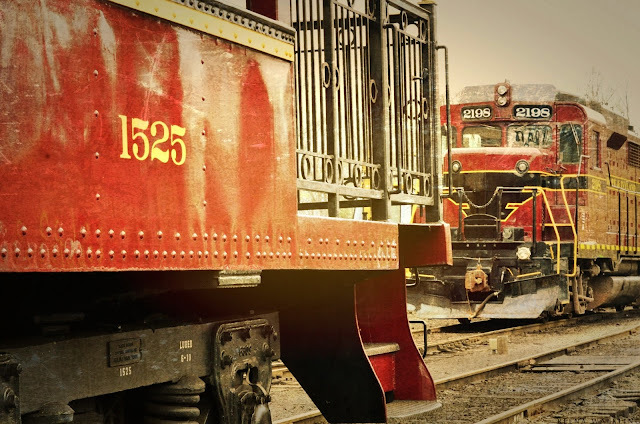 I love trains and they've always been my favorite way to travel! love your captures of them for the day, Reena! Hope your week is going well! Enjoy! Makes me want to hop on a train. Great pictures. I agree - I love old train stations and trains of any kind. I have my carpetbag packed! The photos ooze nostalgia. 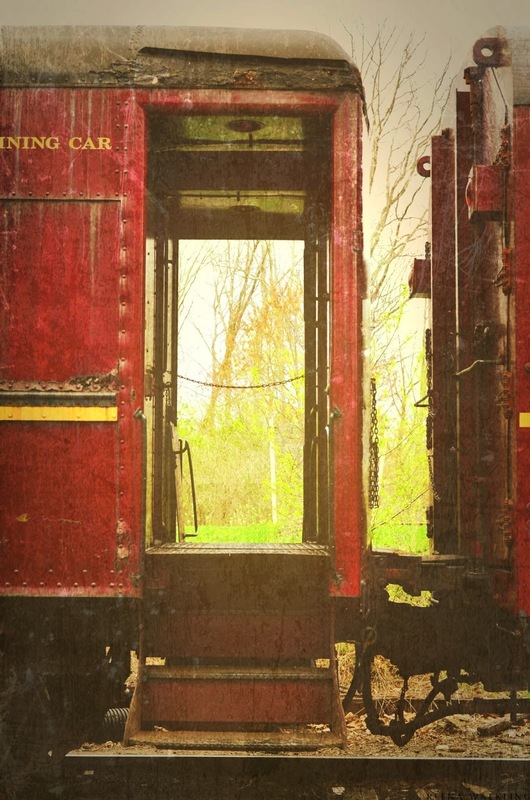 It would be fun to take a train ride again. Like that brick walk, too. We have a small train place a drive from here and now I am getting motivated to go take some photos. I would love to actually see a train station like this. You captured the essence well. the technology that one time was really big and cool. The vintage treatment to your shots is perfect! I've been to New Hope and thought I recognized it! 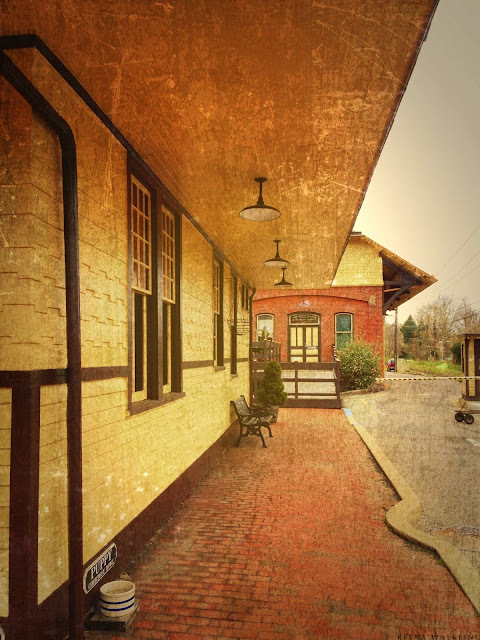 I love old train stations too, and your great photos remind me of why I do!! What mode of transport (maybe horse and buggy) could be more romantic than trains? Beautiful pics and fine processing. Love these. Lovely vintage feel to these shots. J'adore the vintage look and feel you've given these old beauties Reena, perfect. 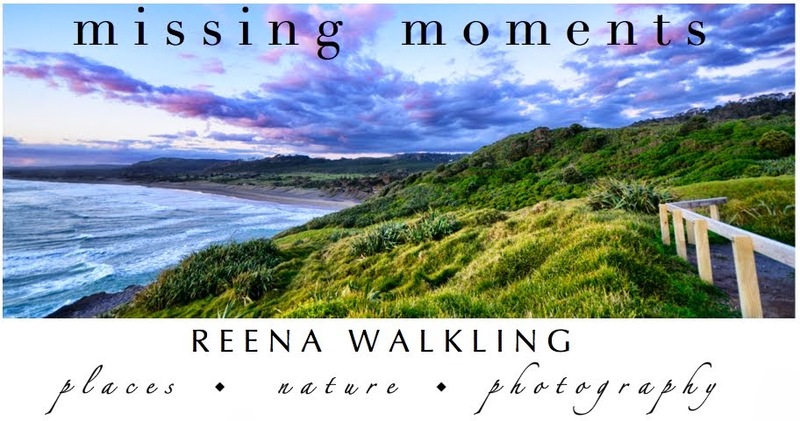 amazing shots and processing, reena! love your photos. i really like the vintage feel to them. I just love old trains and the nostalgia it brings. I was going to guess Lancaster...not too far off ! 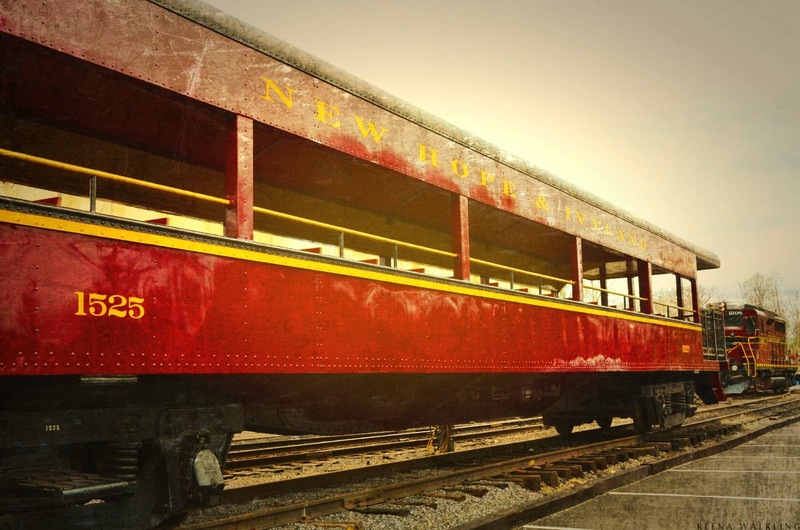 Oh, yes, old trains are so wonderful, aren't they. What stories they could tell, too. i think i have a bit of a hobo heart....love these pics. Fabulous photos once again my friend. love 'em! and they put out a bowl of water for puppies!? i like this station even more now. 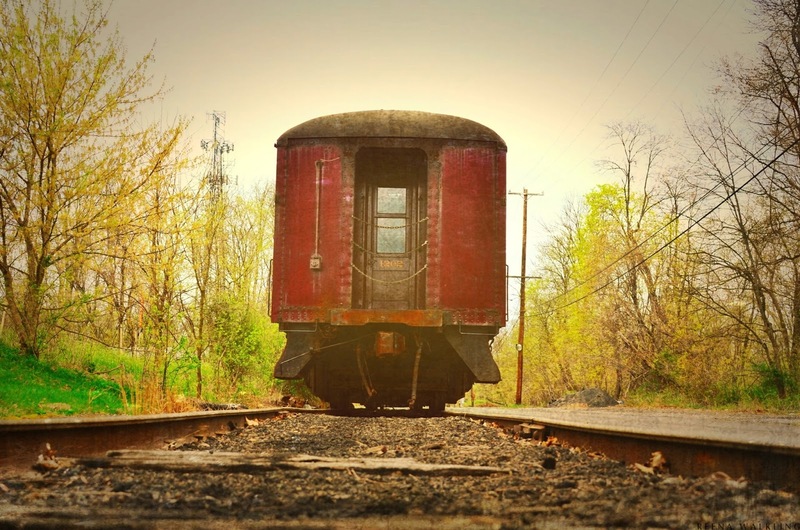 It certainly makes you wonder how many souls have taken this train over its life in service! I love old trains, too. Love the processing on these. Perfect!